Pakistani Casual Dresses online 2019, Indian Casual clothes. We offer online shopping of casual Indian dresses and traditional Pakistani clothing for women. 786shop.com gives you the latest range of suits online. Our clothes can be worn without any ceremony or formality. 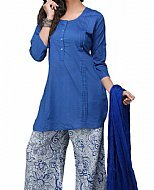 Pakistani/Indian casual dresses are particularly suitable for travel in the city or out of city. You can wear these comfortable suits at home or when you go out casually. Our Pakistani casual dresses are available in designs ranging from traditional to modern, in a wide range of fabrics. Many clothes are free size, and with their flowing lines, look nice even on the fuller figures. We export to USA, UK, Australia and Europe. "I have received my order yesterday and I am quite happy with dresses, delivery was very quick.